Kompakt welcome back Montreal's Clarian with Time Safari. The majority of the EP was a two-year long process from recordings made in South Africa as a team effort of Richard Marshall, Blane Venter, and of course Clarian. The aim Clarian has with Time Safari is to attempt to empower the idea that club music can go beyond simply being labeled as a genre and club motif but can also explore alternative, creative and most of all be a conduit to bring unity. Think if Tuxedomoon collaborated with Carl Sagan to create a weirdo version of Cosmos. LP version. 180 gram vinyl; Includes download code. Canadian DJ/Producer Clarian presents his highly anticipated debut album, Television Days via Australia's Balance Music. Ever enigmatic and distinctive, Clarian, a songwriter and sound engineer from Montreal, first gained notable recognition by the music scene via his former work in synth pop duo Footprintz, releasing several highly-acclaimed singles as well as Escape Yourself (2013), an album project that was co-produced with Ewan Pearson. Since the release of the aforementioned long-player, Clarian has continued his sonic development, maintaining his imaginative semblance channeling this into his own signature recording techniques and collaborations. 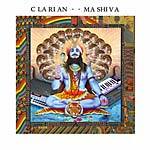 Clarian has also collaborated and engineered on several warmly received releases with Guy Gerber, Tiga, and recently Felix Da Housecat. Television Days, influenced by a Casio found under the bed of an Airbnb, was created in Berlin during a tumultuous period and follows the tragic adventures of Kevin Jones, a down-and-out television scriptwriter living in west Hollywood who's obsessed with Carl Sagan's Cosmos and believes he's being contacted by ancient astronauts. This characteristically ineffable theme is matched by the album's equally passionate and otherworldly style, with the long, drawn-out synths on opener "Dedication to Sagan" and the retro-inducing soundscape on "Lost Again" offering a fitting example of what's to come over the album's ten tracks. Other highlights include the album's first single "Under the Gun", a track bursting with lush lo-fi synths and percussion, fused with the almost breathless, reverbed vocal performance from Clarian that nods in the direction of '80s synth-pop works of Mute Records. There's also the atmospheric and colorful "Tulum", the hazy synth-driven "Down and Out", the dystopian sounding "Mote of Dust", and the album's closer, "Television Days", a track where Clarian's dreamy vocals blend particularly well with the melancholic percolating beats. Television Days may be quirky, but it's also a rare glimpse into the state of mind and emotions of Clarian, who himself describes it as "a surreal self-examination of fears and mentalities after several nocturnal years of touring and producing music free to experiment and explore strange and fantastic worlds." Taking notes from the school of the tragic celebration, Television Days is a standout and unique record that both showcases an array of ambient sound techniques as it pays tribute to its love affair for new wave. In the words of Kevin Jones, "let's get deep, let's get rocked." Canadian DJ/Producer Clarian presents his highly anticipated debut album, Television Days via Australia's Balance Music. Ever enigmatic and distinctive, Clarian, a songwriter and sound engineer from Montreal, first gained notable recognition by the music scene via his former work in synth pop duo Footprintz, releasing several highly-acclaimed singles as well as Escape Yourself (2013), an album project that was co-produced with Ewan Pearson. Since the release of the aforementioned long-player, Clarian has continued his sonic development, maintaining his imaginative semblance channeling this into his own signature recording techniques and collaborations. 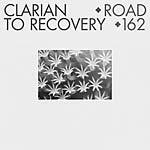 Clarian has also collaborated and engineered on several warmly received releases with Guy Gerber, Tiga, and recently Felix Da Housecat. Television Days, influenced by a Casio found under the bed of an Airbnb, was created in Berlin during a tumultuous period and follows the tragic adventures of Kevin Jones, a down-and-out television scriptwriter living in west Hollywood who's obsessed with Carl Sagan's Cosmos and believes he's being contacted by ancient astronauts. This characteristically ineffable theme is matched by the album's equally passionate and otherworldly style, with the long, drawn-out synths on opener "Dedication to Sagan" and the retro-inducing soundscape on "Lost Again" offering a fitting example of what's to come over the album's ten tracks. Other highlights include the album's first single "Under the Gun", a track bursting with lush lo-fi synths and percussion, fused with the almost breathless, reverbed vocal performance from Clarian that nods in the direction of '80s synth-pop works of Mute Records. There's also the atmospheric and colorful "Tulum", the hazy synth-driven "Down and Out", the dystopian sounding "Mote of Dust", and the album's closer, "Television Days", a track where Clarian's dreamy vocals blend particularly well with the melancholic percolating beats. 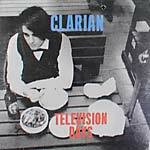 Television Days may be quirky, but it's also a rare glimpse into the state of mind and emotions of Clarian, who himself describes it as "a surreal self-examination of fears and mentalities after several nocturnal years of touring and producing music free to experiment and explore strange and fantastic worlds." Taking notes from the school of the tragic celebration, Television Days is a standout and unique record that both showcases an array of ambient sound techniques as it pays tribute to its love affair for new wave. In the words of Kevin Jones, "let's get deep, let's get rocked." Clarian returns to Kompakt following his 2015 label debut and releases on Multi Culti, Soft Touch, Rumors, and Turbo, plus a stint as mixer, arranger, and audio engineer on Tiga's 2016 No Fantasy Required album. "Ankh" emits dreamy harmonics, glistening synths, and gentle beat throbs from deep within a crystallized pyramid. "Old Miami" is a groovy, hypnotic late-night jam for the raving flâneur (named after a bar in Detroit where Clarian played one of his first shows). Closer "Alienated" perfectly showcases Clarian's knack for catchy weirdness, letting its main motif glitch in all the right places. Clarian, of Canadian origin, has worked with Clockwork and Guy Gerber and written and produced as part of leftfield pop crew Footprintz, and fronts as A&R for Seth Troxler's Soft Touch imprint. With Mission to Bars, Clarian tells the story of a lost astronaut, an appropriately surreal plot for the throbbing sub-basses, twisted vocal samples, and rolling percussion. It's a deep but surprisingly jaunty offering of three highly playable club tunes brimming with left turns and idiosyncratic sound design. For most people, Seth Troxler is a name associated with Detroit-leaning house and techno. Yet this only scratches the surface of Troxler's musical outlook, hence the formation of Soft Touch; an imprint focused on peeling back the layers of the exotic and the strange, where interstellar guitar, calypso disco and seductive techno tracks can come together in unison and feel totally at home. On the labels first 10" release, Clarian collects three tracks; a kaleidoscopic journey through 6 am electronics, Afro-beat indie-pop and '60s West Coast heartbreak. It's a bold opening statement for a label prepared to break the mould. Montreal's Clarian drops his first EP on Turbo, backed by remixes from Iron Galaxy and Sei A. Drawing influence from the bittersweet, emotive sounds of deep, post-Burial UK house, "Road to Recovery" shimmers with romance and nostalgia, a rare case of hauntingly beautiful, yet easily playable dance music. The warm textures and ambient backdrop are just as rich on "Who Are They to Judge Us," which adds skillfully-cut vocals that speak to the producer's sensitivity. Sei A's remix of "Road to Recovery" toughena up the beats to turn it into a club weapon. Iron Galaxy shows off analog wizardry with his remix of "Who Are They to Judge Us." Championed by the likes of Seth Troxler, Guy Gerber and Tiga, the former Footprintz member turned solo star has set his musical sights on the incense-filled Multi Culti chill-out room. 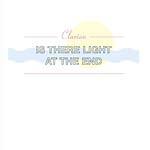 Clarian continues a run of musically diverse, emotionally-resonant songs with this three-track EP. "Ma Shiva" is a mid-tempo pop ballad that takes as its refrain one of the most popular Hindu mantras. "Open Your Eyes" takes the tempo down even lower, into laid-back Talking Heads territory. "Dystopia" is a dragon-stick-juggling bazaar-ride of inner-exoticism. Invisible Conga People remixes the title-track.